Welcome to mcinbass.com, my website-in-progress. Please check back periodically to see newly added content. My name is Robbie McIntosh. From a young age I’ve had parallel interests in making music and in making things. In 1993, those interests came together when I embarked on the restoration of a double bass for my daughter. What had been my cabinetmaking shop for 20 years became a bass repair shop, and I’ve been restoring and making basses now for the last 25 years. I offer a full range of bass repair and restoration services. I also make basses from scratch. Please contact me if you have any questions or problems with your bass. 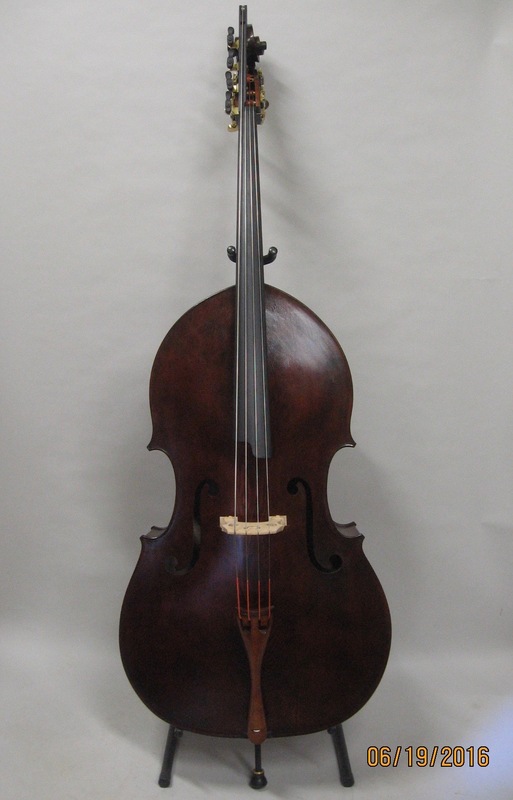 I’ve made a bass modeled after Jeremy McCoy’s Domenico Busan, 1749. It was awarded a Silver Medal for Tone at the VSA convention in Cleveland, November 2016. It is owned by Robin Brawley. 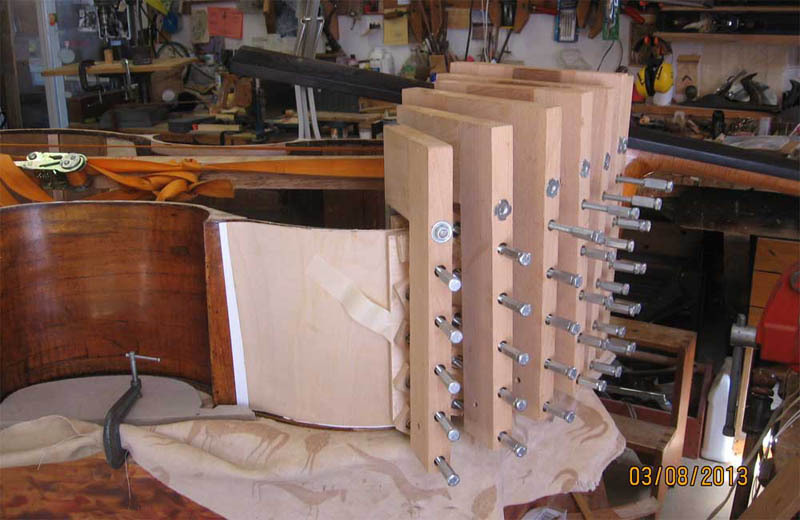 For more photos click on “Handmade Basses” above.